The National Day Awards recognizes those who have made outstanding contributions in public service or community work in Singapore. This year, a total of 3,197 individuals in 19 award categories received National Day Honours. 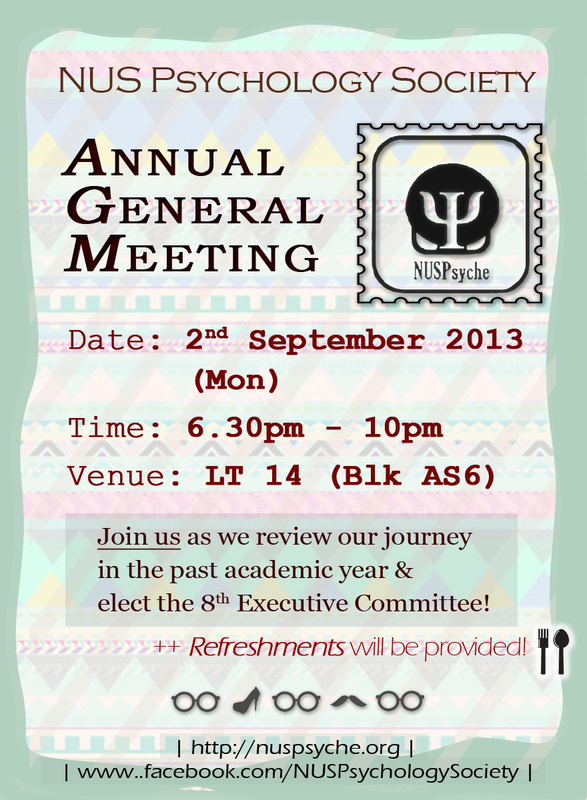 NUS Psychology Society will be holding their 8th Annual General Meeting on 2 September 2013. 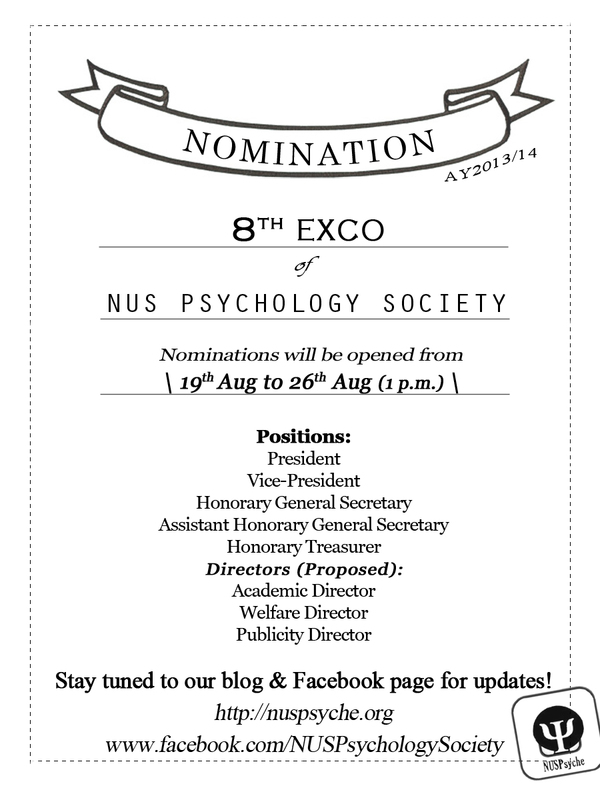 You are cordially invited to join them in this special event as part of the NUSPsyche family! by 31 August 2013, Saturday. Students are needed for a focus group study in relation to project work experiences. Each session is approximately 1 hour long. 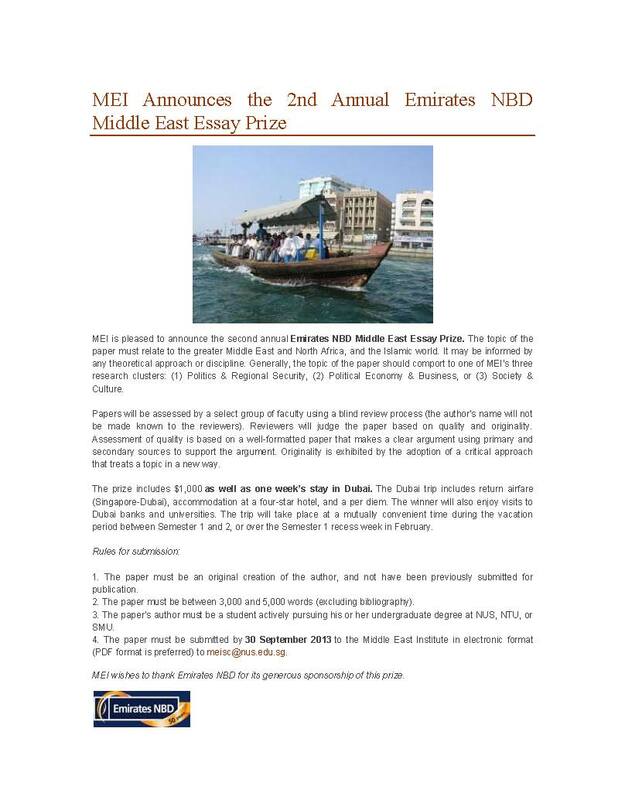 Participants will be reimbursed with $10 for their participation. There will be sessions conducted in the following timings. There are limited seats per session. 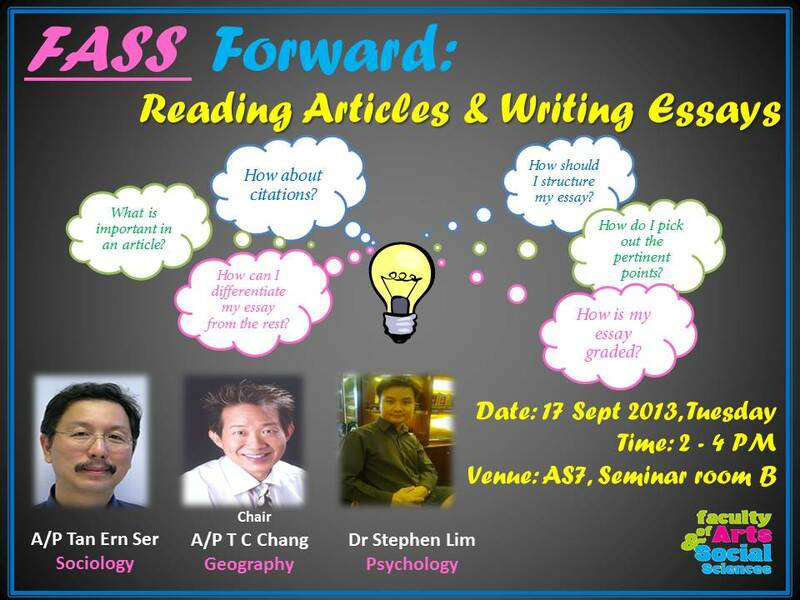 If you would like to learn how you can dissect academic readings or pick up tips on crafting your essay assignments, this session is just for you! Our very own FASS lecturers (Geography, Psychology, Sociology) together with top-performing Honours-level students will be there to share their personal experiences! Upon registration, please be sure to attend the talk or find a replacement if you are unable to make it. 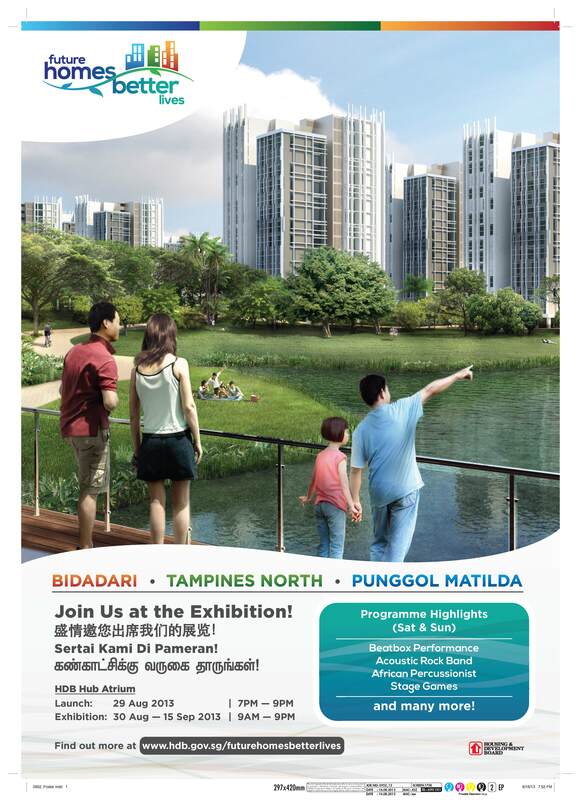 If you have any queries, please contact Ms Lim Peiying at faslp@nus.edu.sg or 6516 7274. Please come with any feedback and questions you might have. 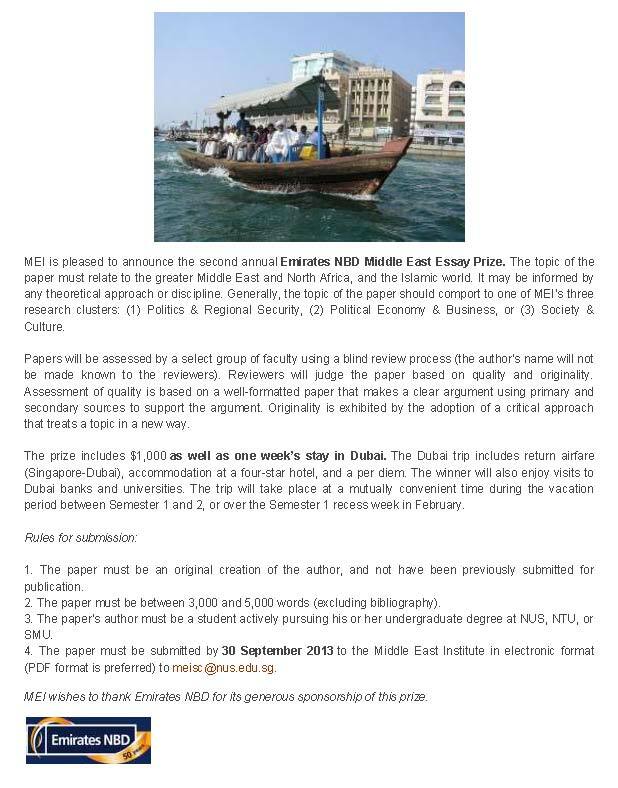 To find out more about last year’s winner, click here. Calling out to ALL NUS students & staff!!! Do you wish to give back to society? Do you want to save a lives? Here’s how you can do it! 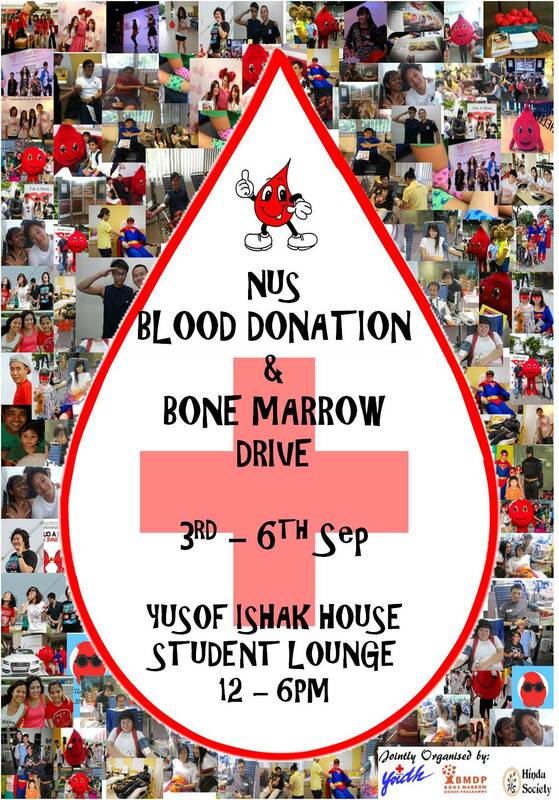 NUS Red Cross Youth Chapter and Hindu Society proudly bring the bi-annual NUS Blood Donation Drive. This year, in conjunction with our blood drive, we will be partnering the Bone Marrow Donor Programme to hold a concurrent bone marrow donor recruitment drive. Please do mark your calenders and come down with your friends to support our cause!!! Every drop goes a long way to saving lives!!!!! Please bring along your NRIC/Donation Card/Passport/Student Pass for registration. 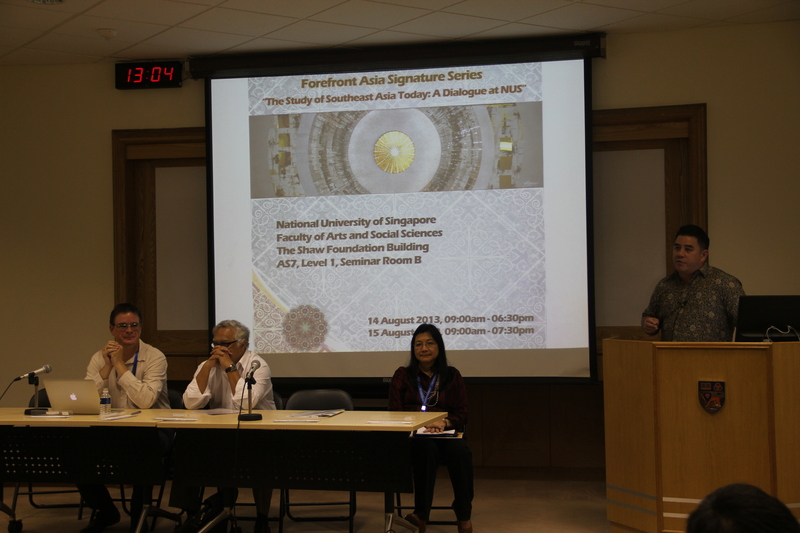 Between August 14-16, FASS was delighted to present Forefront Asia: the Signature Series, an annual meeting for expert dialogues on Asia. Each forum in the annual series consists of focused workshops on topics of critical interest, as well as talks designed for a wider audience of scholars, graduate students and interested members of the public. 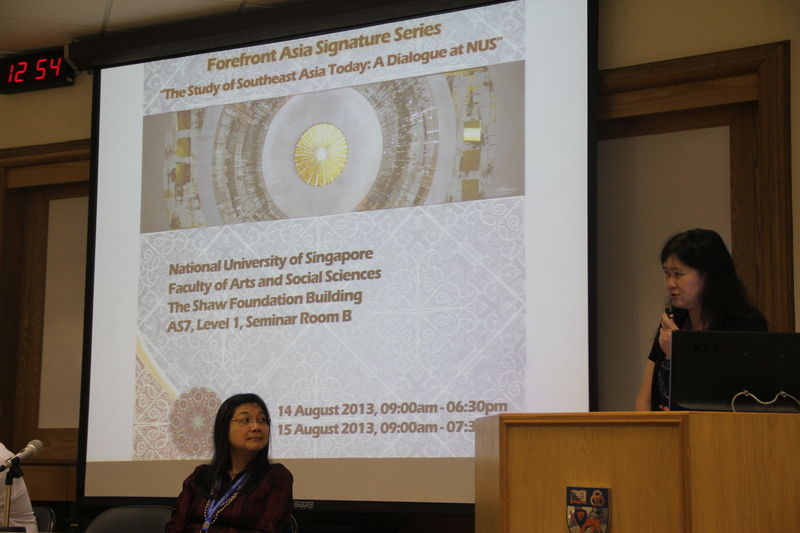 The first workshop in FASS’s Forefront Asia Signature Series, “The Study of Southeast Asia Today: A Dialogue at NUS”, showcased the latest scholarship on Southeast Asia while creating a forum for dialogue and interaction among FASS colleagues working on this region, together with Southeast Asianists from the region and beyond. 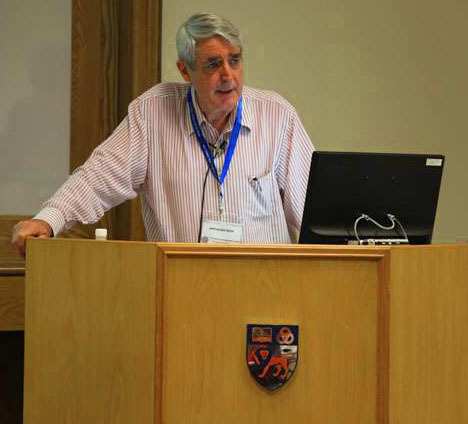 The first keynote speaker was Professor Anthony Reid (Emeritus Professor at ANU), whose talk on “Three Reasons Southeast Asian History Matters” drew on three unique historical, geographical and political facets of the region. Firstly Southeast Asia is unique due to the relative equality and autonomy of its women, especially in production and commerce in the period preceding 19th century modernisation. Secondly Southeast Asia warrants study due to its tectonics and the global climate impact eruptions and earthquakes have caused in the past and will continue to do so. Thirdly the region is unique in how the nation-state is only a relatively new import and so a deeper study of the region reveals how the concept of nation-state need not be the narrative core of a place’s history. Following several paper presentations, Professor Jonathan Rigg (Durham University/NUS), the second keynote speaker presented his paper titled “Chasing after the wind: A cautionary tale of Southeast Asian success”, which addressed how the very success of the region’s economies has, however, bred new challenges and fresh tensions. These challenges, problems and tensions range from seemingly intractable pockets of poverty, to failures of government and governance, questions over the future sustainability of growth, new issues connected with emerging social maladies, environmental degradation and what some commentators perceived to be a declining quality of life. On day two, Professor Abidin Kusno (University of British Columbia), the third keynote speaker, gave his talk on “City of the Dammed” about flooding, or ‘banjir’ in Jakarta. The talk touched on city planning and architecture while addressing questions such as consciousness of time, space and politics, environmental justice, flood management, representation, climate change and North-South debates. In between the other papers of the second day, the Dean was also delighted to officially launch the Faculty’s new PhD in Comparative Asian Studies. 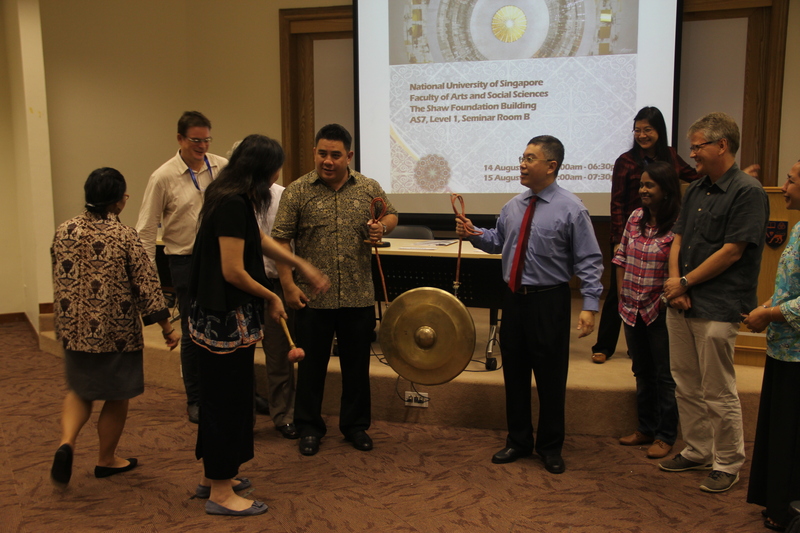 The Dean,Professor Brenda Yeoh prepares to strike the gong while Professor Prasenjit Duara, A/P Maitrii Aung-Thwin, Professor Robbie Goh, A/P SHirlena Huang, A/P Vineeta Sinha, A/P Hendrik Meyer-Ohle and A/P Noor Aisha Abdul Rahan look on. The third day of the conference concluded with a roundtable for Journal Editors who represented most of the top journals that cover Southeast Asian and the region. Professor Brenda Yeoh, Dean of the Faculty of Arts and Social Sciences, officially launched the Comparative Asian Studies (CAS) PhD programme, during the inaugural Forefront Asia conference on 15 August 2013. 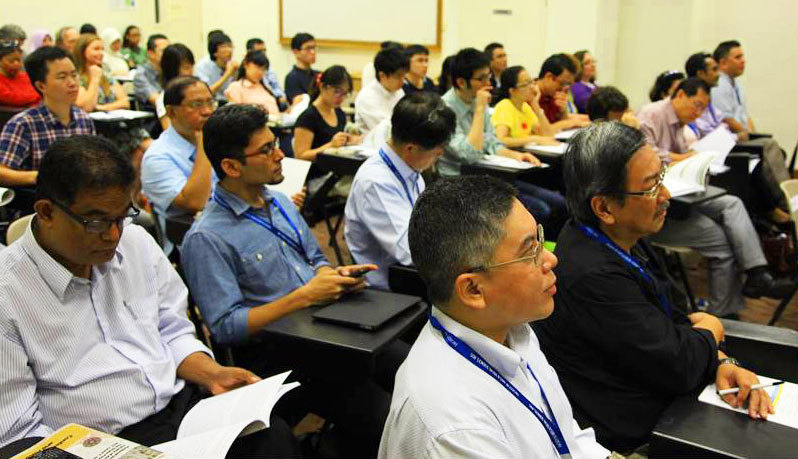 The CAS PhD Programme is one of the few in the world to offer a comprehensive, multi-regional training in Asian Studies at the PhD level. CAS PhD students will have an opportunity to acquire expertise in at least two geographical or cultural areas of Asia and will be expected to attain research level competency in two Asian languages. The intensive, five-year programme will consist of both coursework and field research, supported by generous research and teaching fellowships. Successful applicants will benefit from FASS’ established tradition in comparative research and teaching on South, Southeast and East Asia that have been a hallmark of its area-studies and disciplinary departments. Featuring over 200 scholars whose research focuses on Asia, the FASS is home to eight interdisciplinary research clusters, extensive Asia-focused library resources, special collections, and language programs that contribute to its exceptional position as leader in the field of Asian Studies. Associate Professor Maitrii Aung-Thwin, CAS Coordinator, noted that the programme’s location in Southeast Asia would continue to be an important factor for students and scholars who wanted to pursue Asian Studies from within Asia. 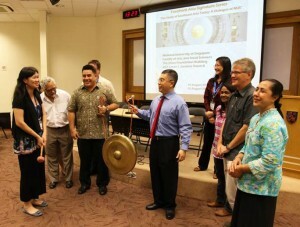 The launch was chaired by Associate Professor Shirlena Huang, FASS Vice Dean of Graduate Studies, who was involved in the formulation stages along with Professor Robbie Goh, FASS Vice Dean of International Relations and Special Duties, and Associate Professor Goh Beng Lan, Head of the Department of Southeast Asian Studies. 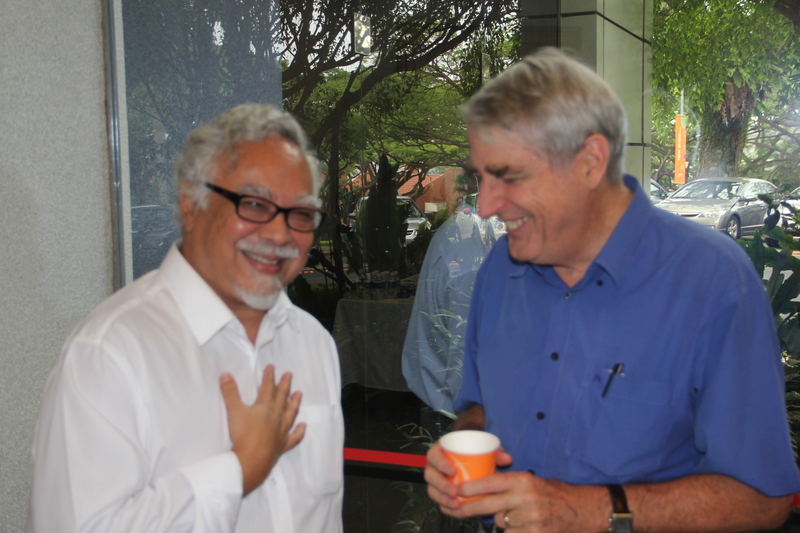 The event also featured two distinguished scholars of Asia: Professor Bernard Arps, Professor of Indonesian and Javanese Language and Culture at Leiden University Institute for Area Studies (LIAS), and Professor Prasenjit Duara, NUS Raffles Professor of Humanities and Director of the Asia Research Institute.